Perhaps you're new to the practice and could use some guidance on getting started. Or maybe you've been meditating for years and keep getting stuck. Whether it's anxiety, emotional blocks, restlessness, scheduling challenges or something else, our mentors can help you move through whatever is stopping you from enjoying the benefits of a regular meditation practice. Our meditation mentors have expertise in areas like psychology, substance use, mindful eating, parenting and more. We’ll pair you with the right mentor for your unique situation, and structure the sessions to address your needs and your schedule. Schedule a free consultation and take your practice to the next level. Ashley Graber is Curriculum Co-Director at Evenflow, licensed psychotherapist and certified mindfulness & meditation teacher, and runs the Families Mindfulness program. 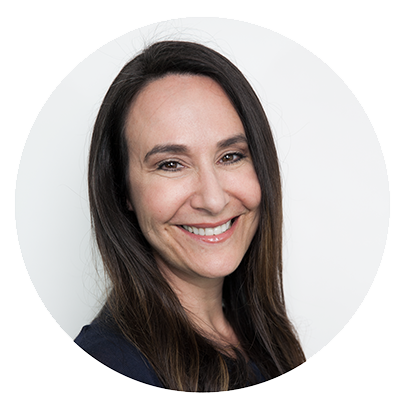 Shira Myrow is is Curriculum Co-Director at Evenflow, licensed marriage and family therapist, mindfulness practitioner, meditation teacher, and founder of the collective Yale St. Therapy. Ian Hoge received his Masters in clinical psychology from Antioch University and is also a graduate of the Inner Kids Mindfulness program, and Mindful Schools curriculum training. Jen Waldburger has a master's in social work and has been working with adults, children, and families for more than 20 years. She is co-founder of Sleepy Planet Parenting, co-director of the Mindfulness program at several schools in Los Angeles, and author. Cori Rosenthal is a marriage and family therapist and certified mindful eating teacher with a private practice. She is passionate about meditation as a path to healing as well as supporting others to heal and create a healthy relationship between food and their bodies.